Protein bars can be an excellent food for long rides, but tend to be expensive. 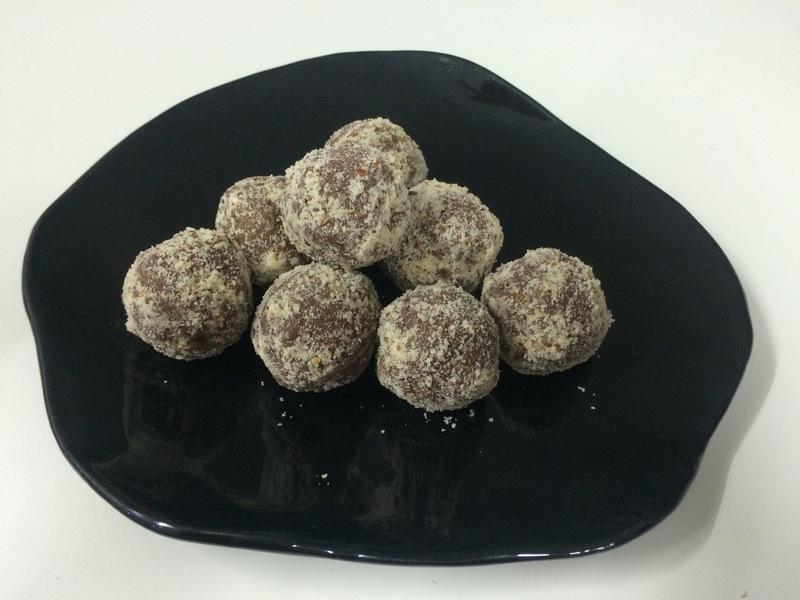 Choc Almond Protein Balls are a simple, low-cost alternative that you can mix up quickly without baking, and keep in the refrigerator for later use. If preferred, you can use a commercial protein powder to substitute the same weight of skim milk powder and sugar. In either case, the nutrient composition will be similar. You can also make variants by substituting hazelnut meal for almond meal, or use walnut meal made by processing toasted walnuts in a food processor. Marketing campaigns for sports nutrition products often aim to convince you that there is unique science behind their mix of nutrients and that you will get optimal performance by using their product. Unfortunately, there is usually a big gap between what has been tested and what is claimed. For most of us, riding food only needs to meet a few criteria. Firstly, it should have enough calories to keep us going on a longer ride. Secondly, it shouldn’t upset our stomachs. Finally, it should have a reasonable balance between fast energy release (sugars) and sustained energy release (protein, fat and complex carbohydrates). There are many kinds of “real food” that should meet these criteria for you, possibly including this recipe. In a small saucepan, warm condensed milk and butter over low heat until butter is just melted. In a medium bowl, mix cocoa powder, skim milk powder, icing sugar, coconut flour and almond meal. Pour in condensed milk mixture and mix well. While still warm, roll the mixture into balls and dust lightly with extra almond meal. Alternately, you can press the mixture into a paper-lined square tin, chill overnight in the refrigerator, then turn our and cut into squares.